Somewhere between Futura and Akzidenz, there’s Proxima Nova. Designed by Mark Simonson in 2005, 2015. Published by Mark Simonson Studio. Proxima Nova supports up to 121 different languages such as Spanish, English, Portuguese, Russian, German, French, Turkish, Italian, Polish, Ukrainian, Uzbek, Kurdish (Latin), Azerbaijani (Latin), Azerbaijani (Cyrillic), Romanian, Dutch, Greek, Hungarian, Czech, Kazakh (Latin), Serbian (Latin), Serbian (Cyrillic), Bulgarian, Swedish, Belarusian (Latin), Belarusian (Cyrillic), Croatian, Finnish, Slovak, Danish, Lithuanian, Latvian, Slovenian, Irish, Estonian, Basque, Icelandic, Luxembourgian, and Vietnamese in Latin, Cyrillic, Greek, and other scripts. Kids, you tried your best and you failed miserably. The lesson is: never try. Proxima Nova (2005) straddles the gap between typefaces like Futura and Akzidenz Grotesk. The result is a hybrid that combines modern proportions with a geometric appearance. Mark Simonson originally released it in 1994 as Proxima Sans (now discontinued). He expanded the original six fonts (three weights with italics) into a full-featured and versatile family of 42 fonts (seven weights in three widths with italics). 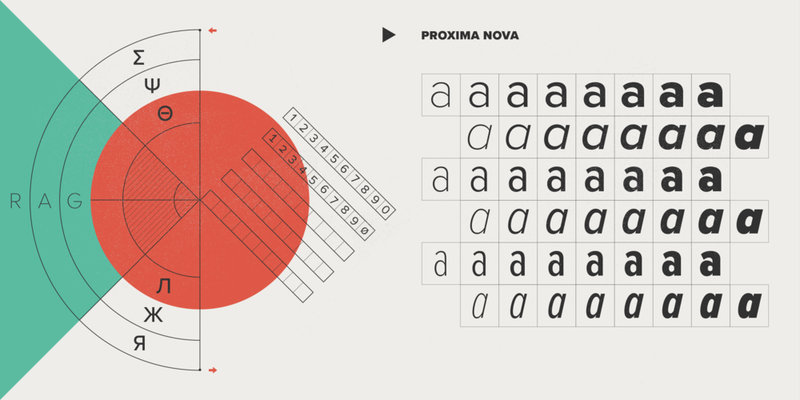 In the last few years, Proxima Nova has become one of the most popular web fonts, in use on thousands of websites around the world.